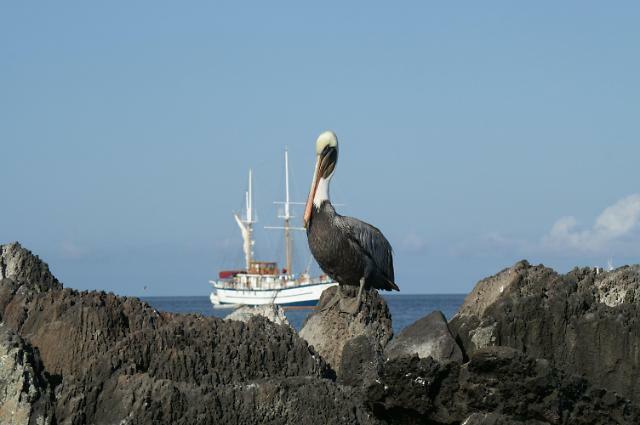 Galapagos Islands are best known as where Charles Darwin studied the vast number of species for his theory of evolution. The archipelago of volcanic islands in the Pacific Ocean is part of Ecuador and is protected as it is a home to many endangered species. It was declared as UNESCO World Heritage Site in 1978 and UNESCO Biosphere Reserve in 1985. Even after the islands had come to the spotlight, the islands' natural ecosystem continued to suffer because humans had introduced non-native plants and species. In 2007, the archipelago was included in the UNESCO List of World Heritage in Danger. Humans have been the greatest threats to the islands and still remains so as the recent incident happened in the marine reserve. When Galapagos National Park alerted the Ecuadorian naval authorities for investigation on the suspicious activity involving a Chinese ship, none of them fathomed what they were about to walk into. The authorities were beyond disbelief when they boarded the Fu Yuan Yu Leng 999 that was docked near the Galapagos Islands' coastline earlier this month. They found over 6,600 carcasses of sharks from the Galapagos protected marine reserve that is off limit to any fishing or destructive activity. The majority of sharks found were endangered and near-extinct species including hammerhead sharks. All of the sharks had their fins removed. In China, shark fin soup is considered the delicacy. After the pictures and the news made public, it caused a huge outburst of anger among the preservation activists community, resulting in many protests to stop illegal shark hunting for shark fin soup. 20 Chinese crew were detained immediately since and were sentenced on Monday after a brief trial. The captain of the vessel was sentenced four years in prison. Three assistants of the captain got three-year term and the remaining 16 crewmen have to serve one year in jail. They were also slammed with the hefty fine of $5.9 million. After the sentencing, Chinese Foreign Ministry spokeswoman Hua Chunying said in a statement Tuesday, "We will not condone illegal fishing in any form", and acknowledged that the government has been following the case. The vessel will permanently be seized by Ecuadorian authorities and the carcasses will be thrown back to the ocean.